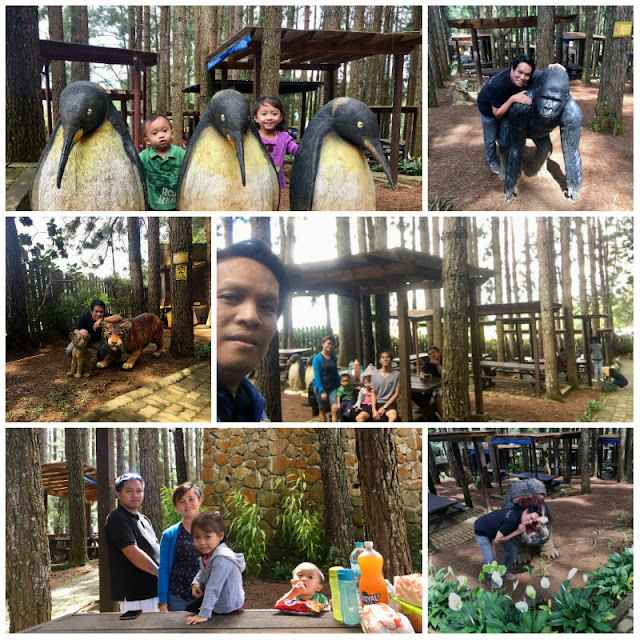 Dahilayan Forest Park Resort Picnic Grounds are nestled amidst lush tall pine trees making the place even colder, perfect spot to relax, unwind and bond with friends and family. 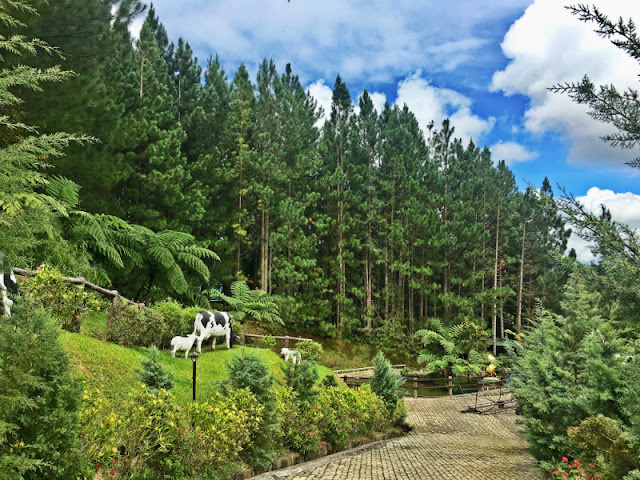 Dahilayan Forest Park - Dahilayan, Manolo Fortich, Bukidnon. 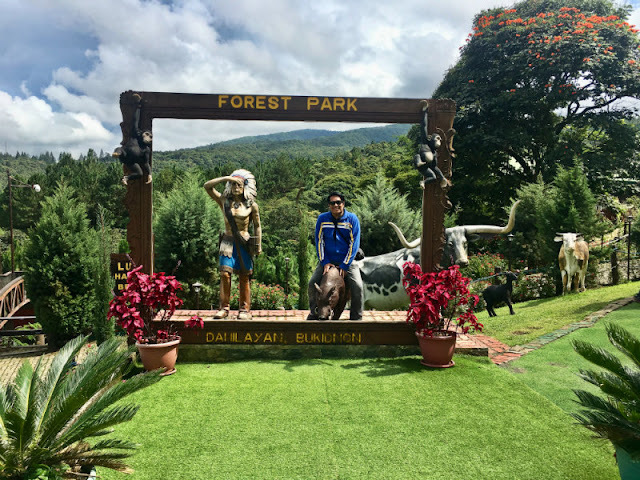 Remember to have a portrait at this Instagram ready life size picture frame awaiting for your visit at Dahilayan Forest Park and Adventure Park, two of the top tourist attractions and things to do in Bukidnon. 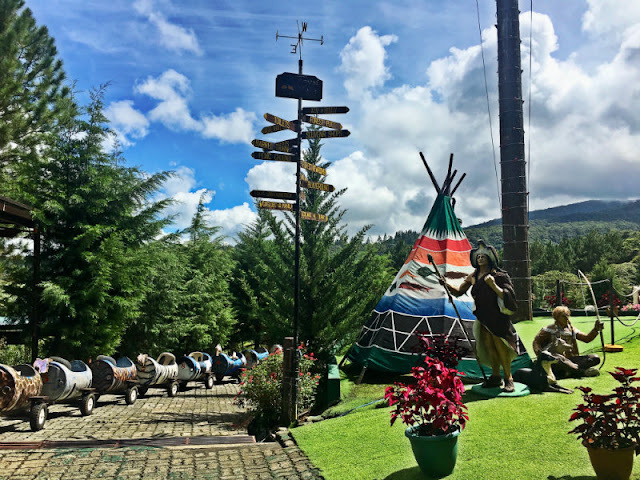 Just like Campuestohan Highland Resort, Dahilayan Forest Park Resort has several attractions and fun rides that will surely make your stay worthwhile and memorable. 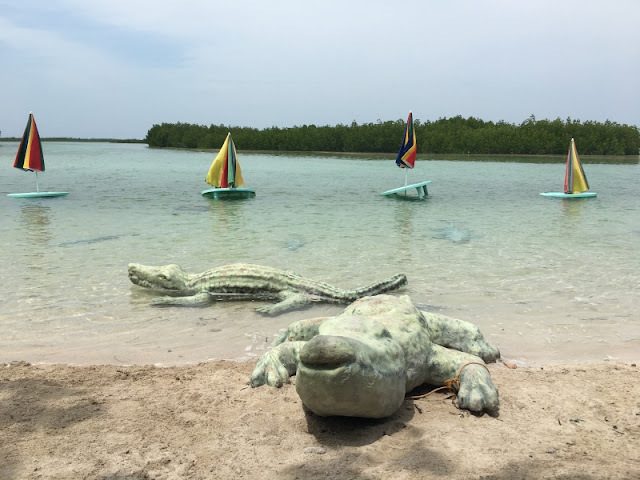 The resort is situated uphill, so expect a colder climate when you get there. 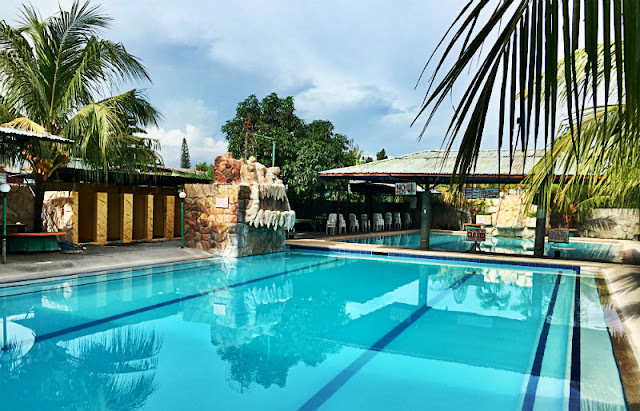 This forest park's amenities include a cafe, function area, bar, jacuzzi, playground, ponds and lagoons, souvenir shop and of course picnic grounds that are nestled amid the lush tall pine trees making the place even colder. 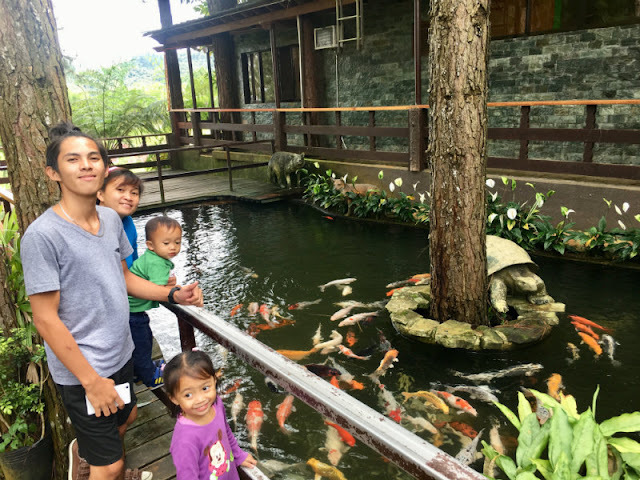 Great to be seeing my colleague from Eloc Global with his family. Grateful to our boss for the holidays off. 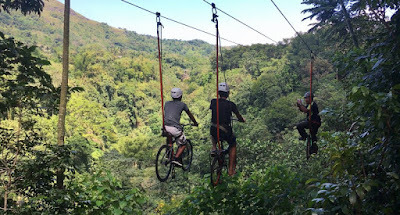 Like Dahilayan Adventure Park, Dahilayan Forest Park has also some fun outdoor activities. See below for the rates. You may want to download the StreetBy app to find deals on rides, accommodation and packages. 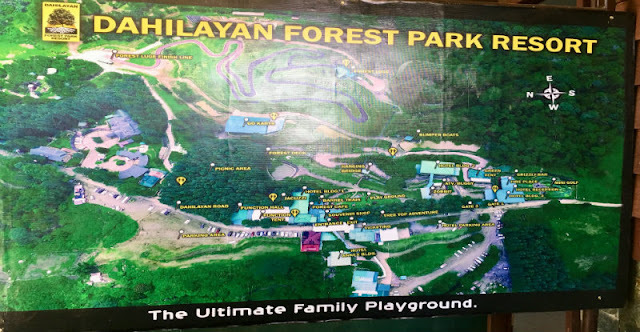 Entrance fee for Dahilayan Forest Park Resort is P100 and P50 for children 10 years old and below. 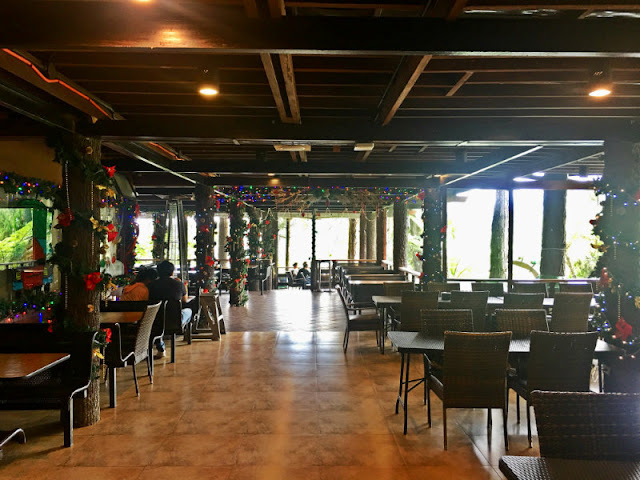 Though the park resort has a cafe, you can actually bring your own food and just rent a table at the Picnic Grounds for the rates indicated above. 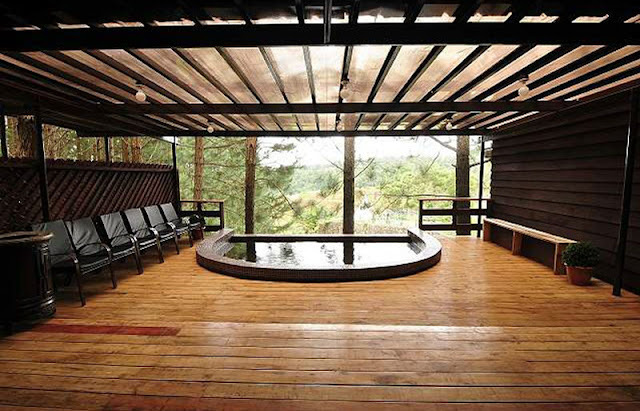 You will certainly love your stay there bonding with your loved ones and friends. You might want to bring a jacket. 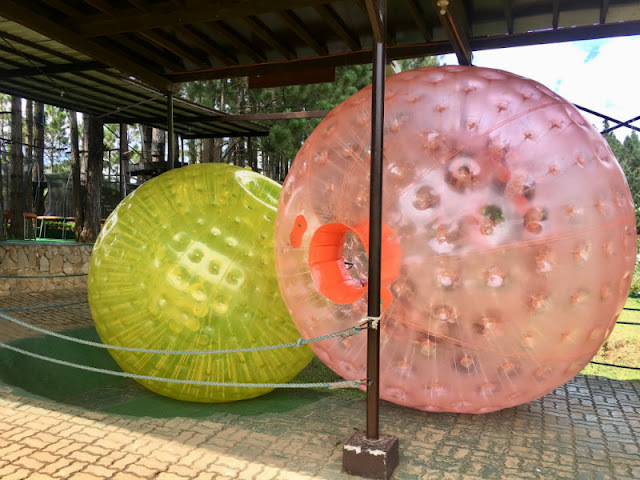 For inquiries and reservations, you may contact Dahilayan Forest Park at the following numbers: +63 915 601 8476; +63 917 715 4399; +63 915 601 8477; +63 998 998 4399. 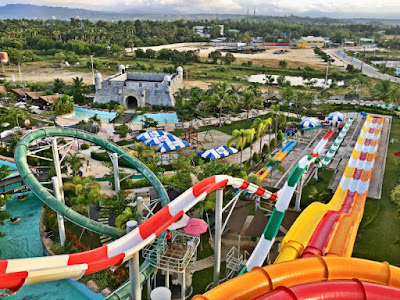 If you love adventures and extreme rides, Dahilayan Adventure Park is the place for you. 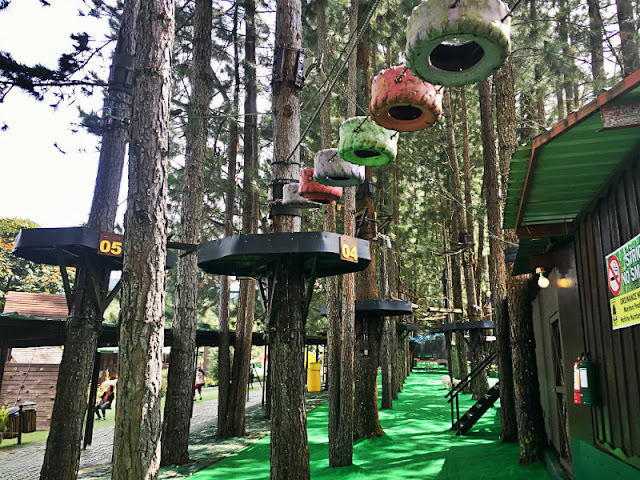 The adventure park comes with different attractions with their corresponding fees. 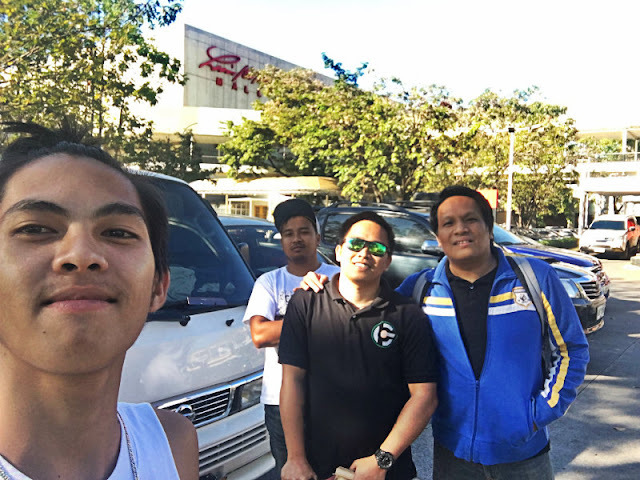 If you want you can book for their packages that include roundtrip transportation from Cagayan de Oro to Dahilayan and vice versa. 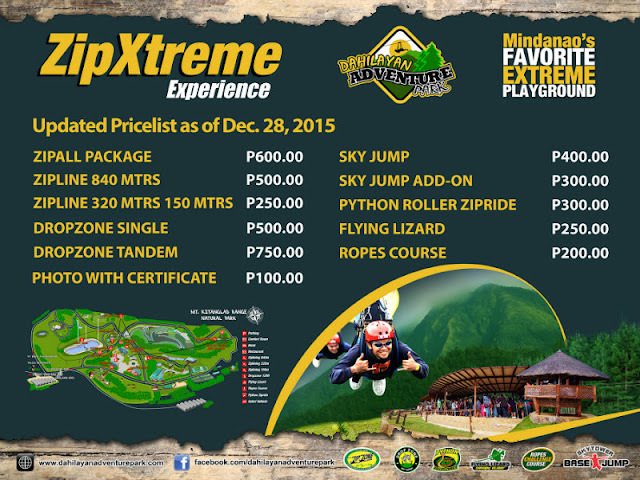 Dahilayan Adventure Park Packages range from P1200/head to P2850/head. 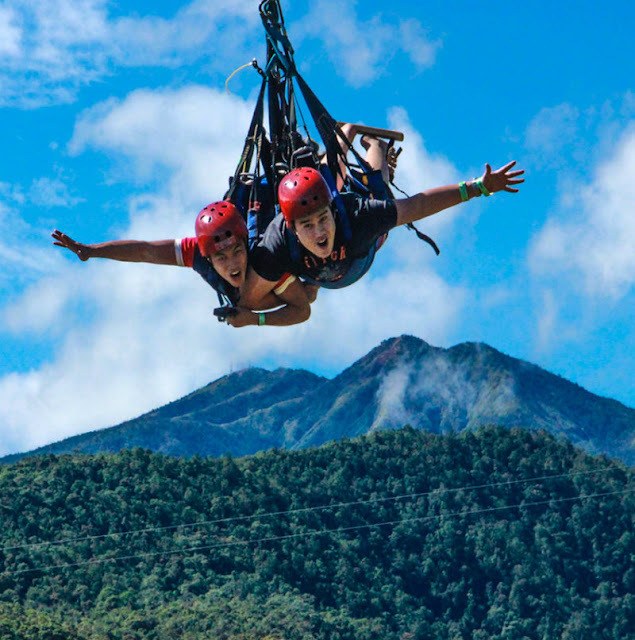 Some of their attractions include: Skytower Base Jump, Zipline, Freefall Ride, Flying Lizard Canopy Slider, Zipride and Ropes Course. 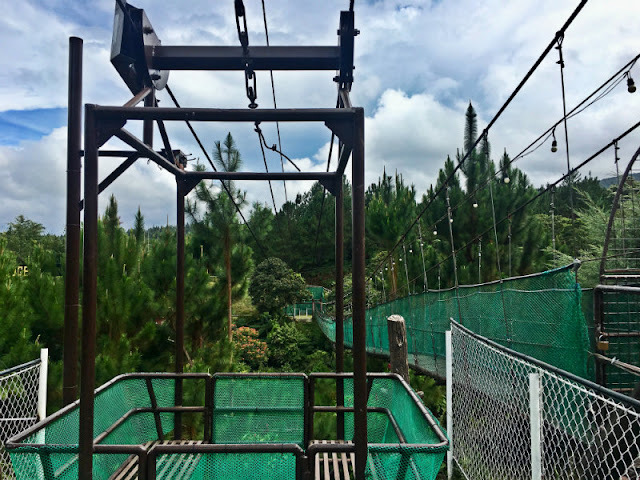 You may want to visit Dahilayan Adventure Park's Website for more details or you may contact their cellphone number at 0917-622-3204. 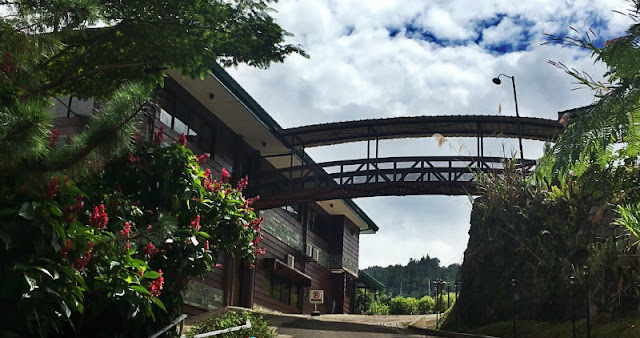 Dahilayan Forest Park Resort has several rooms to accommodate you ranging from P2640 to P7200 (for large group). 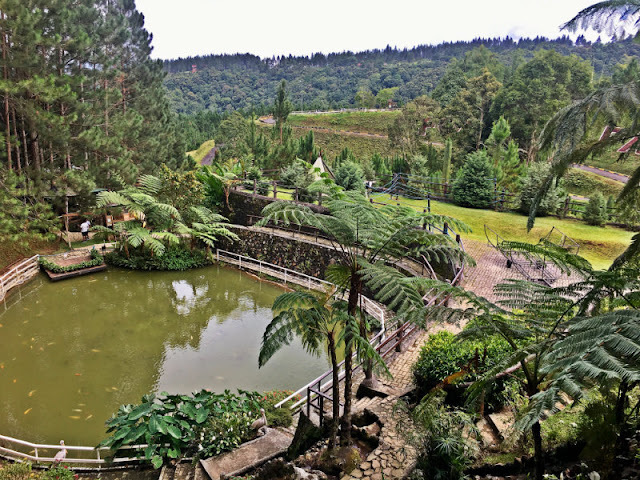 You can make your reservation online via Dahilayan Forest Park Resort Official Website. You can also find deals on agoda.com or any other booking websites. 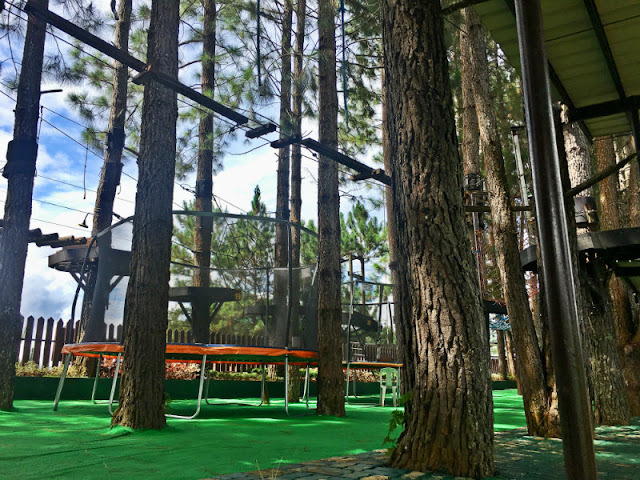 If you do your activities in Dahilayan Adventure Park, they too have rooms to accommodate you ranging from P2800 to P6000 per night. You can find deals at agoda.com or any other booking websites or if you want, download the StreetBy app and be notified of any deals and upcoming deals. Both themed parks have a wide parking area outside. If you have ample time, remember to drop by and tour Camp Phillips and visit your hacienda (lol), I meant, Del Monte pineapple plantation and be counted as one of those people who has hugged that big pineapple near the entrance to Camp Phillips (lol). Big Pineapple near Camp Phillips Entrance. 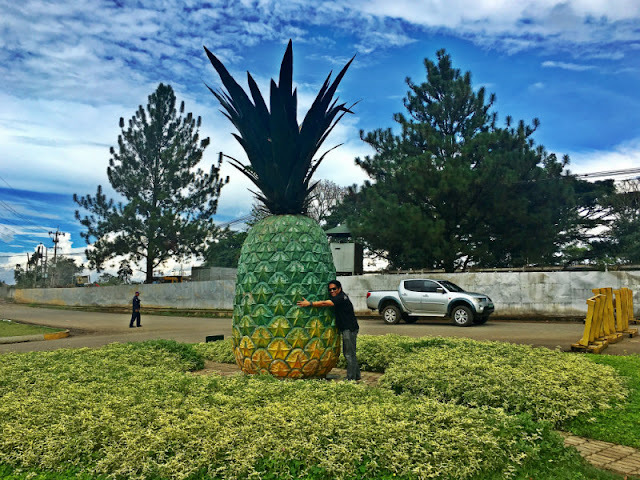 Remember to hug this big pineapple on your way to Dahilayan Forest Park and Dahilayan Adventure Park. 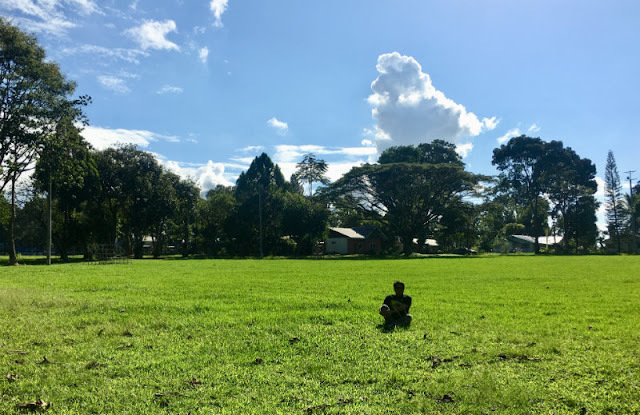 Camp Phillips Plaza Manolo Fortich, Bukidnon. 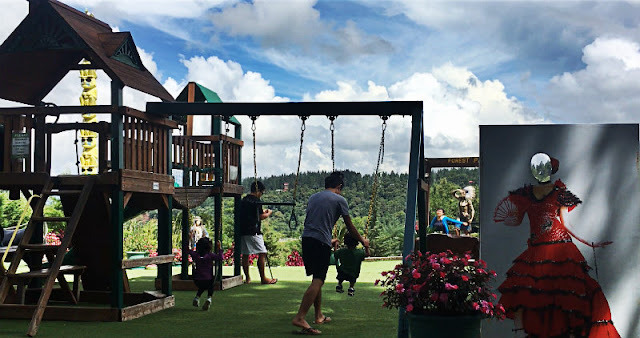 If you have ample time, drop by at Camp Phillips Plaza and enjoy the scenery. 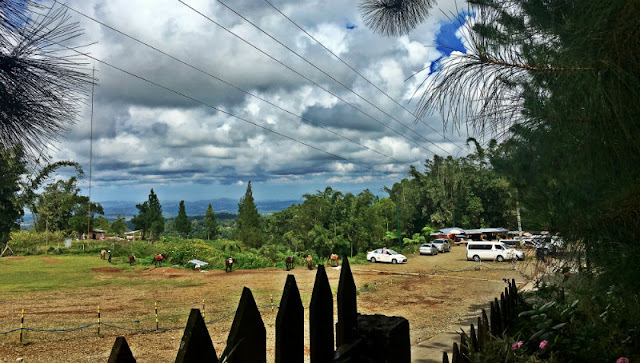 Del Monte Plantation Manolo Fortich Bukidnon. 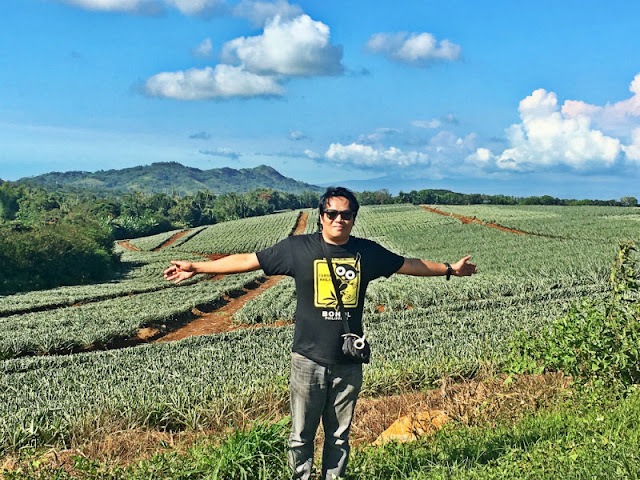 Your trip to Bukidnon wouldn't be complete without striking a pose at Del Monte pineapple plantation anywhere in Manolo Fortich (haha). Thanks to Francis for this picture! 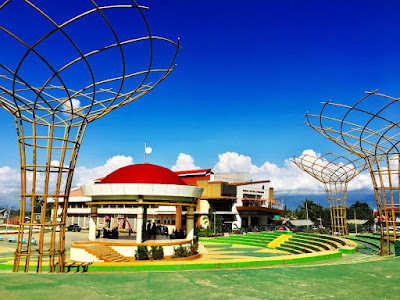 Dahilayan Forest Park Resort and Dahilayan Adventure Park are both located in the mountain ranges of Barangay Dahilayan in Manolo Fortich, Bukidnon which can best be reached via Cagayan de Oro City. 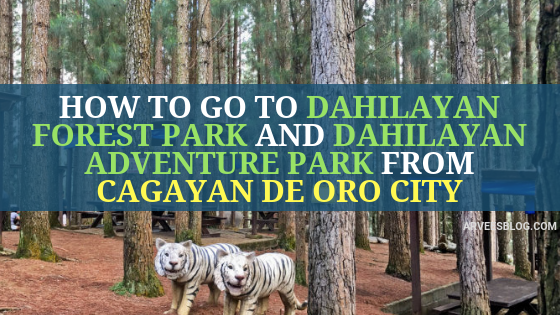 If you are in or from Cagayan de Oro City or other parts of Misamis Oriental or Mindanao Region, please find below the guide on how to go to Dahilayan Forest Park and Dahilayan Adventure Park from Cagayan de Oro City. 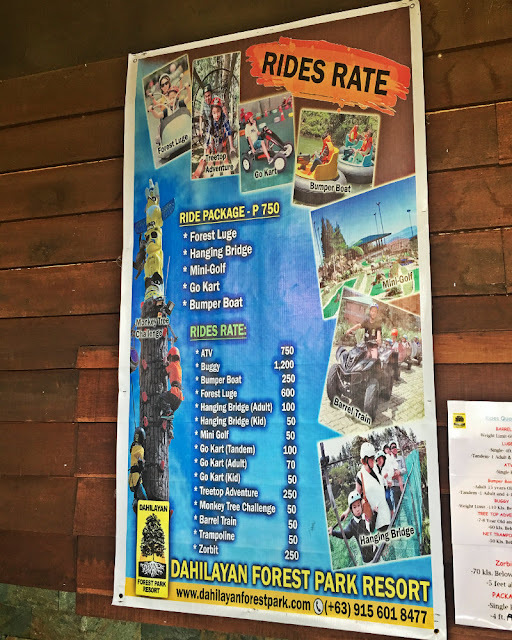 Travel time from Cagayan de Oro City to Dahilayan Forest Park Resort is 1 hour and 30 minutes. 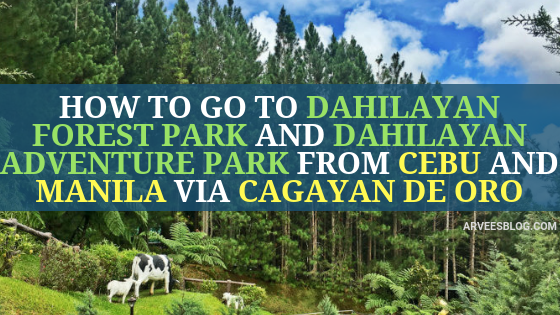 From anywhere in Cagayan de Oro City (ideally from the malls - SM CDO Downtown, Centrio Mall, Gaisano), book a taxi or van (for large group) for Dahilayan Forest Park. Rates can be between P1500 to P2000 [one way] or between P2500 to P3000 [roundtrip] if you want the driver to wait for you. We booked a tour from Loyloy (my friend's brother). He can be reached at 0936-304-9593 (Globe/TM). 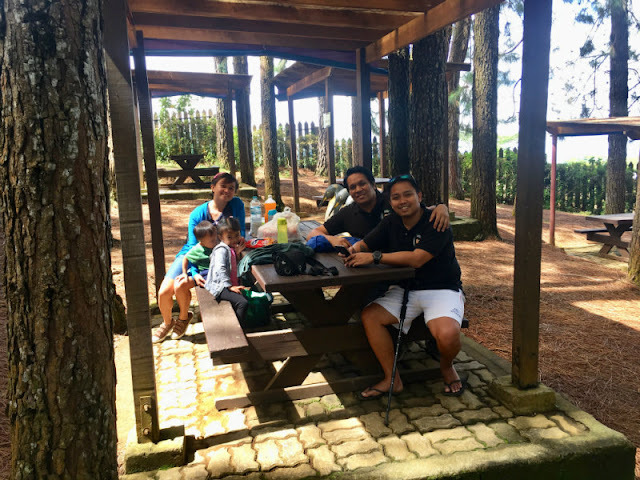 If you want to bring your vehicles with you, here's a guide from the Dahilayan Forest Park. From Cagayan de Oro city, head east on CM Recto highway and turn right on Cagayan de Oro - Bukidnon highway intersection. Turn right on Alae junction and proceed to Camp Philips and thru the pineapple plantation. Follow signs along the road to Dahilayan Forest Park Resort. See map below for direction. 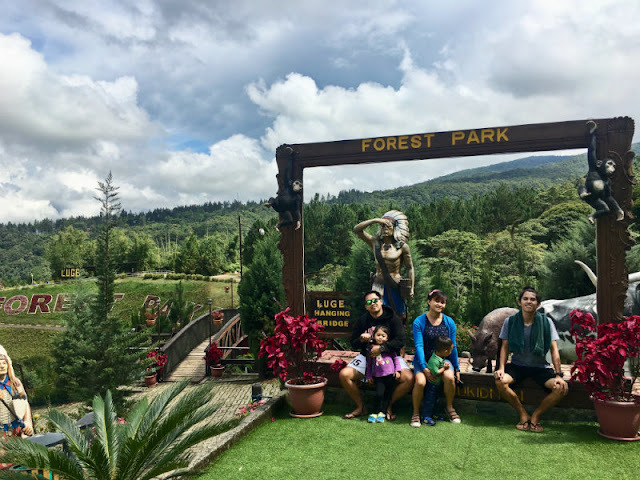 HOW TO GO TO DAHILAYAN FOREST PARK AND DAHILAYAN ADVENTURE PARK FROM OTHER PARTS OF BUKIDNON: If you are from other parts of Bukidnon, you may book a tour from Loyloy (my friend's brother) to pick you up at Manolo Fortich Terminal. He can be reached at 0936-304-9593 (Globe/TM), or if you want to do it yourself, here's a guide from my friend: Ride a bus/van bound for Manolo Fortich and from the terminal or Prince Mall, ride a multicab heading for Camp Phillips and alight at Camp Phillips van terminal and from there look for Loyloy or negotiate a van to bring you to Dahilayan or see if you can join a group tour. 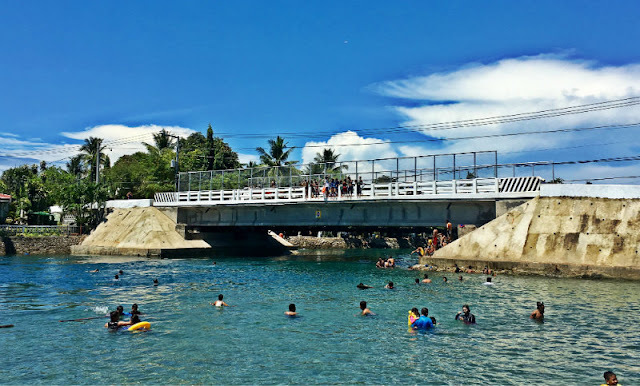 This guide is on how to go to Dahilayan Forest Park and Dahilayan Adventure Park from Cebu or Manila via Cagayan de Oro City by air and sea. 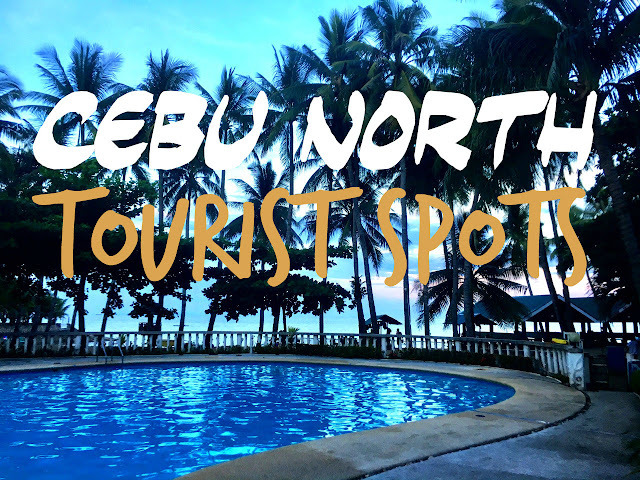 By air: Book a flight from Cebu or Manila to Cagayan de Oro City thru Cebu Pacific, Philippine Airlines or Air Asia. 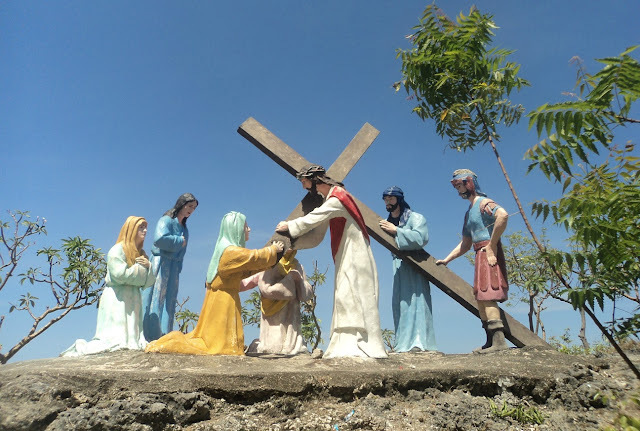 Then go to your airport of origin to catch your flight for Cagayan de Oro City. 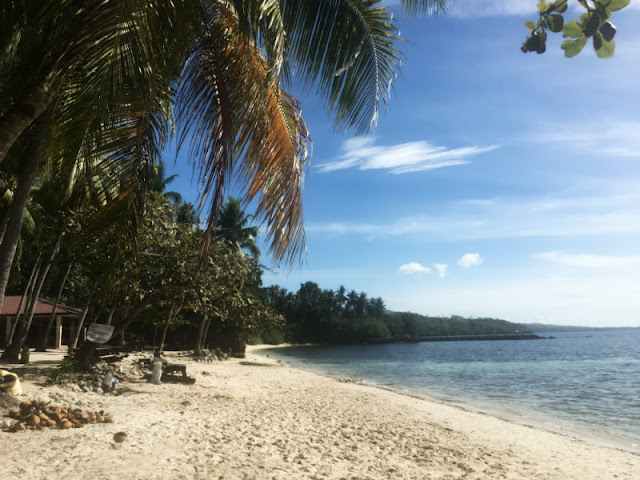 By sea: You can book your tickets at 2GO Travel, Trans-Asia or any other shipping lines plying the route Cebu to Cagayan de Oro or Manila to Cagayan de Oro. If you travel by air: You will land in Misamis Oriental at Laguindingan Airport. 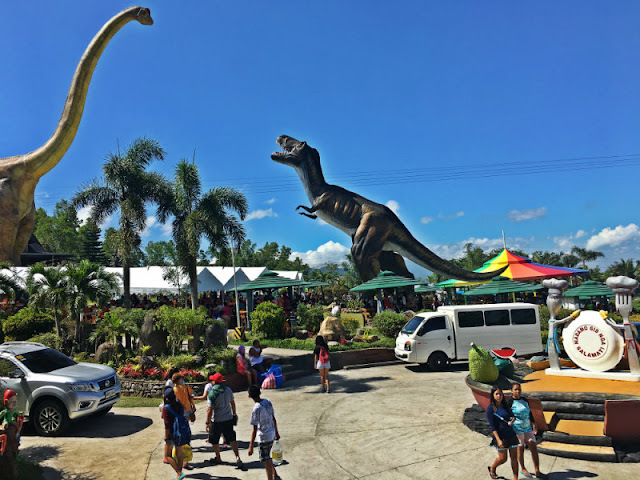 Upon your exit, you may either book a taxi to bring you directly to Dahilayan Forest Park and Dahilayan Adventure Park or you can book a van if you are a large group. 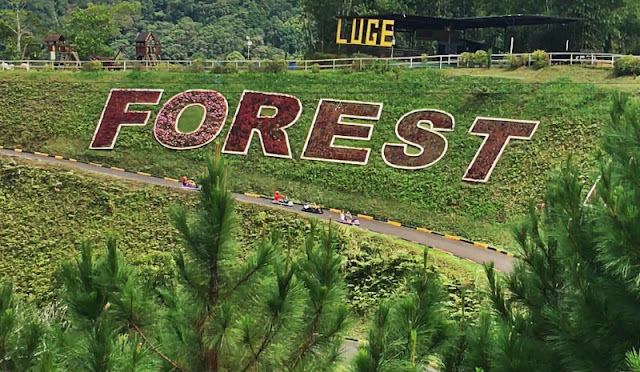 If you travel by sea: From the port, book a taxi for Dahilayan Forest Park and Adventure Park. We booked a tour from Loyloy (my friend's brother). He can be reached at 0936-304-9593 (Globe/TM). 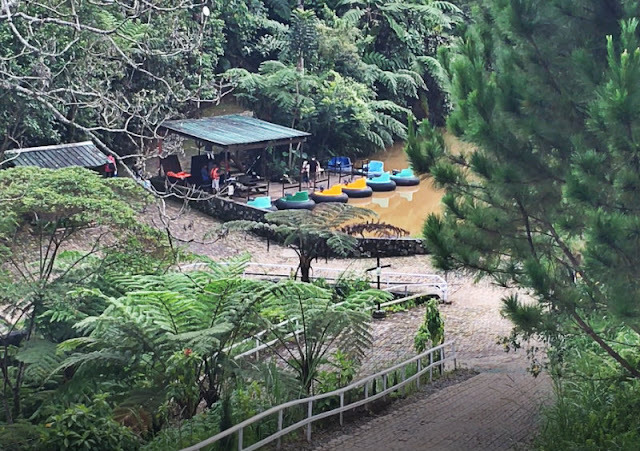 If you want to bring your vehicles with you, here's a guide from the Dahilayan Forest Park. From Cagayan de Oro city, head east on CM Recto highway and turn right on Cagayan de Oro - Bukidnon highway intersection. Turn right on Alae junction and proceed to Camp Philips and thru the pineapple plantation. Follow signs along the road to Dahilayan Forest Park Resort. 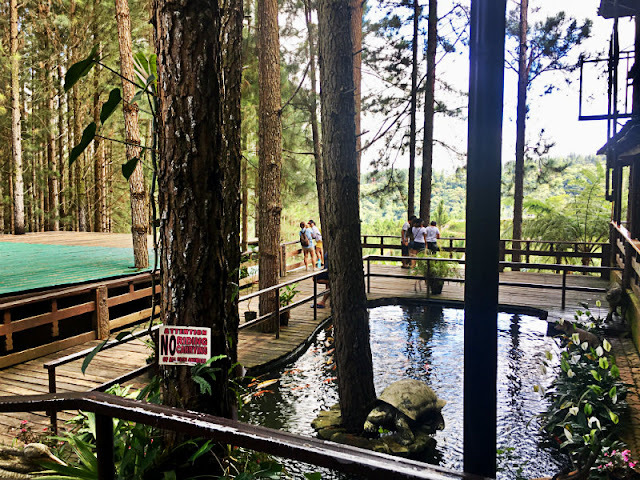 If both Dahilayan Forest Park and Dahilayan Adventure Park are fully booked, you can stay at the hotels nearby or you can stay in Cagayan de Oro City for a night and have your tour the next day. 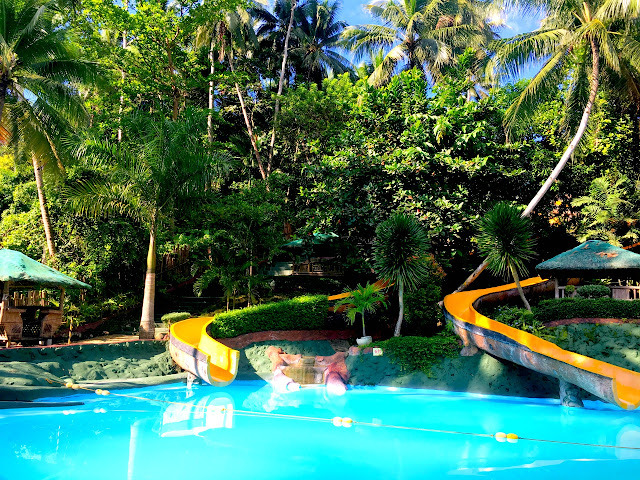 You can find hotels in Cagayan de Oro City here. Ideal places to stay are near Centrio Mall, SM CDO Downtown, Gaisano Mall or any places close to the malls. Two of the hotels I saw near the malls are: Red Planet near SM CDO Downtown and Seda Centrio near Centrio Mall. 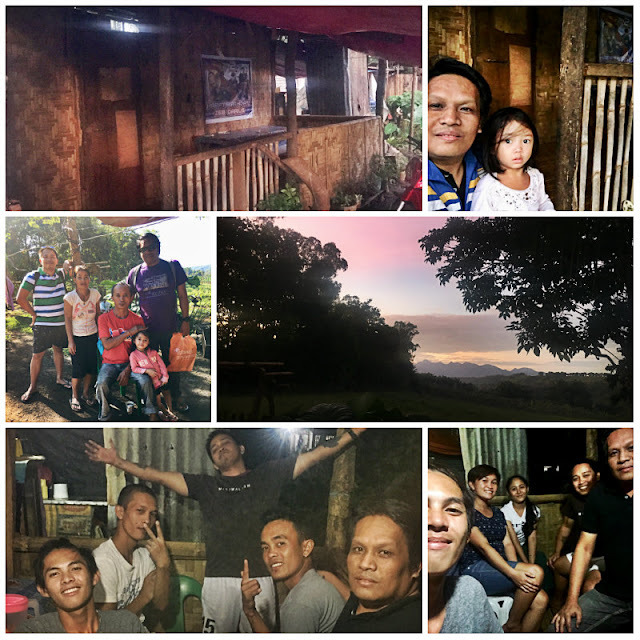 As for me, I had the best accommodation in Manolo Fortich. Thanks to my colleague/friend and his wife for the accommodation. 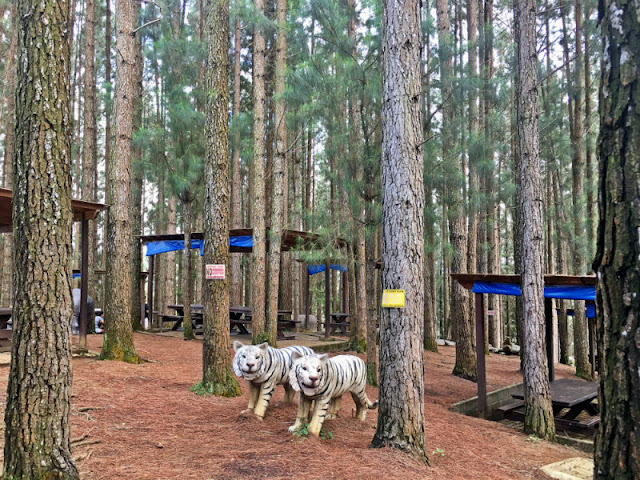 How about you, have you been to Dahilayan Forest Park Resort and Dahilayan Adventure Park? How was your experience?